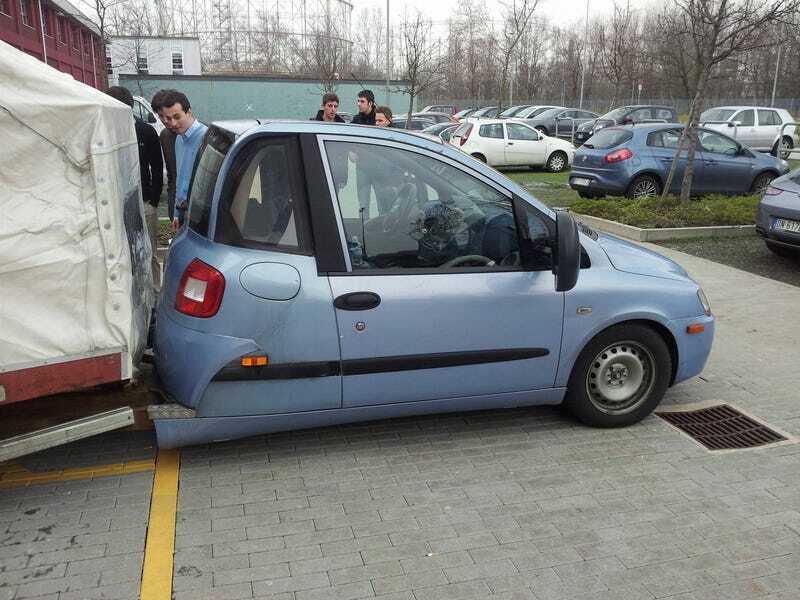 Posted by reddit user Flea0 in the r/autos sub, apparently this is what Scuderia Toro Rosso is using to transport it's cars around Europe. It's based on a Fiat Multipla, but what the hell happened to it? Did it melt? Was it sutured together? What the hell happened to the middle bit, and why did it happen? Is it in pain?? WHY WHY WHY, is what I'm saying.